WordPress is one of the powerful and famous open source blogging software. Most of blogs are wordpress as it is free and easy. So spammers can easily target the wordpress blogs. I am talking about spam comments. 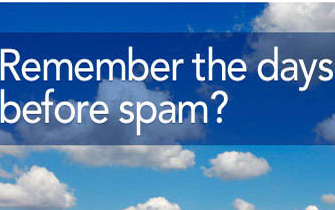 Most of spammers are looking to promote their products or for build backlinks. Here are some tips to prevent them. How to stop spam comments on WordPress? This should be the first important step. Akismet is an automatic spam killer. You should install and activate Akismet plugin. This WordPress plugin will automatically detect spam comments,trackback and protect your site. Akismet plugin is installed on your wordpress blog after you install it. You need a Akismet API Key to activate and you can create the API Key at Akismet.com. It is Free. It is difficult to moderate each comments. Even you install Akismet Plugin,there is chance for spam, or sometimes it will move non spam comments to spam page. As it is just a plugin not human. Moderation is not essential when you activate Akismet but better is to take a look at comments once a week. Change comments settings from default settings. You can change it in menu -> Settings > Discussion. Spammers can easily make you fool, they may appreciate your post to approve comments. When you tick this option, spammers comment will automatically approve whether you made any mistake in first time comment moderation. This is an another great way to stop lots of spam. You can do it in comments settings. In comments blacklist section you can enter the words, IP address, URL or email that you need to block. If any comments detected any of these it will moves to spam folder. Problem with this way is that this is not acceptable way to some bloggers as it is not allow guest commenting. Make sure that you are installed the latest version of WordPress. These points will help you to stop spam commenting. Indeed, Akismet is a good tool to weed out the spam comments and the spammers. However, making the comments available only to the registered users would discourage not only the spammers but a lot of other users as well who would wish to leave their comments without such a long sign-up process. Hi Jay, You are absolutely right. Comments only for registered users is not a recommended way,it is only an optional way. Your post is very helpful for me…. I am Using Akismet since many months. But my Comment spamming issue is not yet resolved. What should i do? Is there any appropriate relevant Plugins to solve my issue ? Hi kallesh,Did you enter key in akismet settings?